I wasn’t particularly hungry and I was just accompanying my friend so I ordered a Chocolate Milkshake. 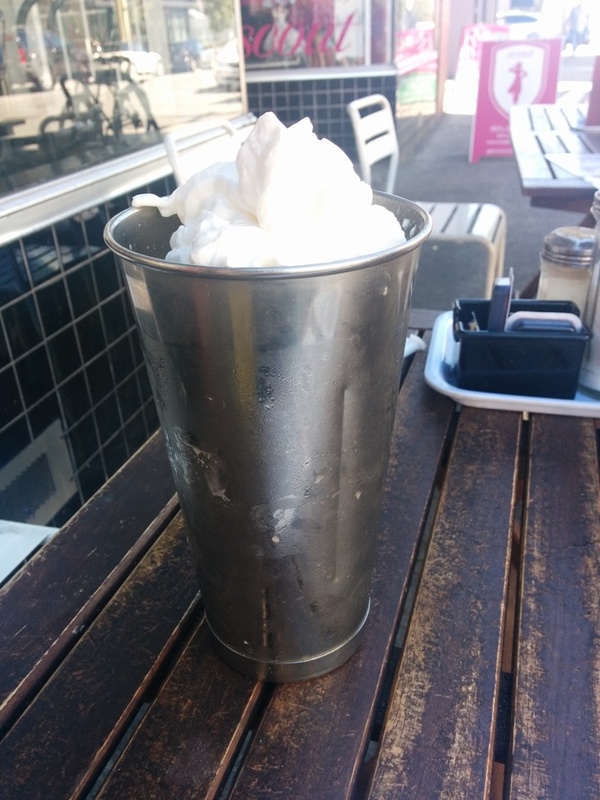 It came with some generic whipped cream like the kind from a can but the milkshake itself was very good! Chocolatey but not too sweet. I ended up drinking a lot more than I expected to. 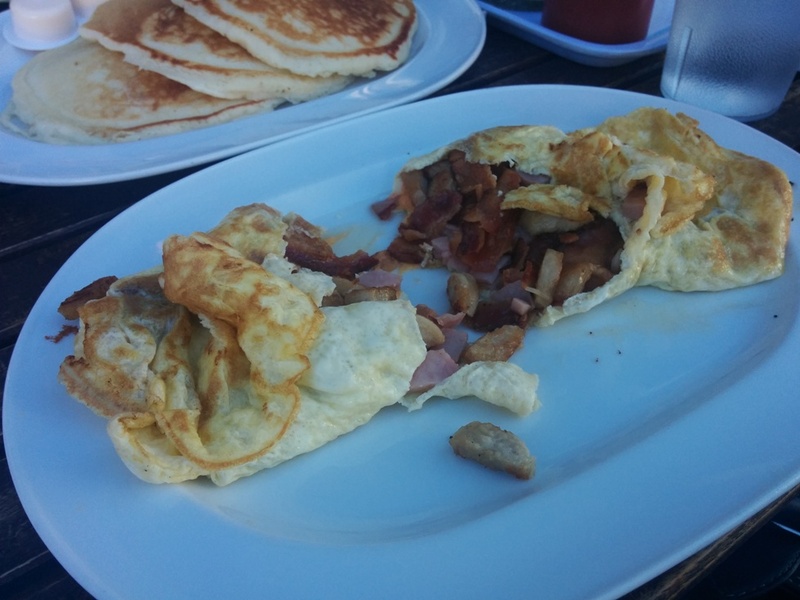 This was the Meat Lovers Omelette with bacon, sausage, ham and cheese. 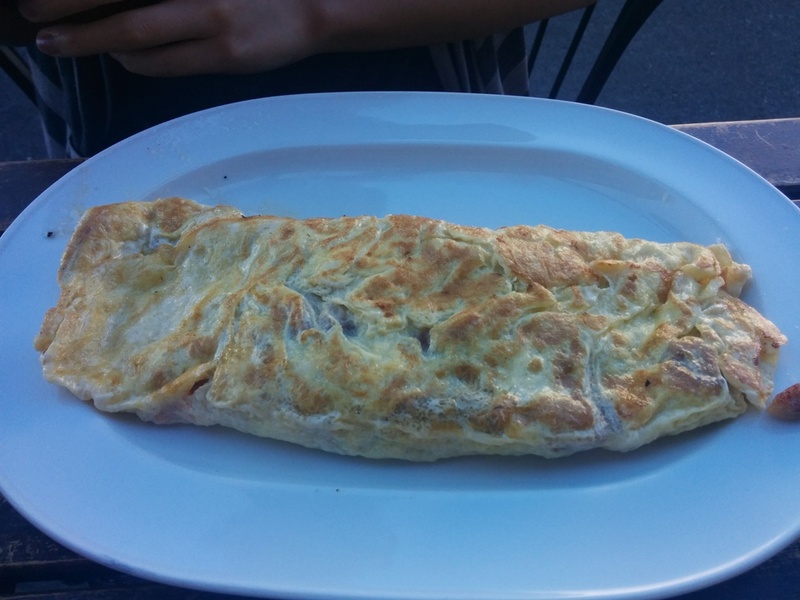 The omelette is made with 3 eggs and formed a thin wrap around the ingredients inside. The omelette is suppose to come with hashbrowns or toast but my friend REALLY wanted pancakes so she asked to sub in pancakes instead or pay the difference. The server said she could pay for the omelette minus the toast and plus the pancakes so there really wasn’t a discount here. 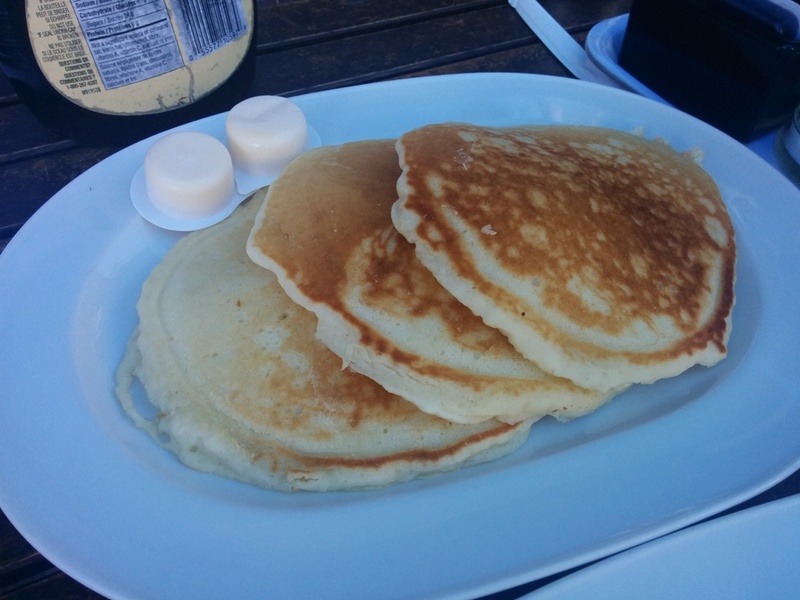 The pancakes were fluffy and generic. They give you some butter to spread on it and also some Aunt Jemima syrup. Small containers of jam are also available on the table. It was a cheap and no frills kinda place. They serve breakfast all day and they also have some soups, salads, sandwiches and burgers for lunch.